A complete, detailed position description will assist in reducing ambiguity for what work will be performed. Offer interns real-world work assignments related to their academic preparedness. Interns want to work and learn. An intern from the Miami University Regionals can help you complete a job and provide a new perspective when approaching a project so it makes sense to present interns with work where they will be challenged. Be there to welcome the intern on their first day. Be prepared for your intern’s arrival by having a staff person assigned to welcome the intern to your organization. Supply the intern with the tools and training to get the job done. It is imperative to have a designated place for the intern to work, with all the essential tools to complete their assigned work and to also provide any specific training that may be required to ensure success. Ask your intern if there is a specific area they would like to learn. When possible, arrange for opportunities when interns can explore specific areas of interest. Compile a list of secondary tasks. Provide a list of assignments for the intern to complete for times when projects are completed ahead of schedule. Provide orientations for all involved Provide an orientation that includes managers, mentors, and others who will be interacting with the intern. An orientation will ensure everyone understands what the expectations are and what the intern’s role will be. Supply interns with a guide or information online. Provide a reference guide with answers to what you know will be frequently asked questions. Include a list of your organization’s policies to allow interns to have an easily accessible reference document. Provide a mentor or consider the option to hire an intern manager if you have several interns to oversee. Interns should have a “go-to” person. Assign a supervisor or mentor to provide guidance and their time for the intern to help ensure your internship program runs smoothly and the interns have the guidance they will need to be successful. Set a time for the intern and their manager to meet and answer questions, provide guidance and feedback. Promote team involvement. Have your staff members become involved with the interns that are hired to orient the interns to the company culture. Get everyone at your organization, from all levels, involved in the intern’s experience. Provide interns with ongoing feedback. Remember, interns are students and the internship is an educational experience. Provide constructive feedback, as well as positive reinforcement to the intern on an ongoing basis to keep the intern engaged and to indicate their work is valued by your organization. Include interns in the daily life of the workplace. Interns want to be included too. When possible, invite interns to quietly tag along to a staff or a project meeting to increase the intern’s knowledge of your organization’s big picture. This gesture will help show how the intern’s work fits into the grand scheme. 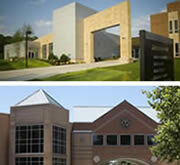 Provide opportunities for career center staff and faculty to visit interns on site. Engaging the Career Services & Professional Development staff will help build a stronger working relationship and provide more visibility for your organization on our campus. Utilize your company’s executives for speaking events. Interns interpret having access to successful professionals in their related major as a definite benefit of an internship. Choose executives from your organization to the interns able to provide relevant information in a personable way and who are willing to spend some time to answer questions and, if possible, meet informally with the interns. Present training opportunities. Provide your interns with access to in-house training on work-related skills, such as a particular computer program, or general skills, such as time management, as a great way to show the interns that you are interested in their development. Hold focus groups or conduct surveys. Hold intern focus groups or conduct a survey to gather information on how the intern has viewed the experience. The information learned can help you enhance future internships. Illustrate intern work through presentations. Successful interns work hard completing their internship and are proud of what they have accomplished. Permitting the interns to present their work through formal presentations will allow the intern to demonstrate achievements and help showcase the internship program to all staff members. Perform exit interviews. An exit interview is another valuable way to collect immediate feedback on the intern’s experience and if expectations were met. It’s also a good way to assess the intern’s level of interest in returning as a full-time hire. Having the intern fill out an exit survey to bring to the exit interview will provide structure to the conversation. If a real-time, face-to-face, exit interview is not possible, a follow up telephone interview is another option. It is important to garner the intern’s experience beyond a completed online survey. Roles of other employees; Who supports who? Information on parking, restrooms, supplies, meeting rooms, etc. To whom will the intern report? Will the intern work with one department or several? We appreciate the opportunity you are providing for our students to gain “on the job experience”. Please contact us if we can help facilitate this learning experience in any way.